During Dame Margaret Hodges’ review of the Garden Bridge on 21 November 2016 Isabel Dedring is quoted as saying: “[former Westminster Tory leader] Philippa Roe said, “We don’t need this big debate about the bridge in the middle of this by-election.” But, anyway I know there were discussions with Westminster where they said “This isn’t the right time for us”. She goes on to refer to the political circumstances which seem to relate to Churchill Ward and the Labour campaign there leading up to the 2014 Council elections. 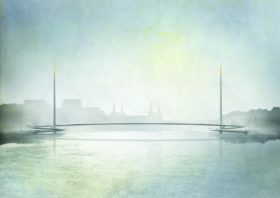 The campaign against the Nine Elms Bridge – backed by the Labour Councillors – has been led by the community-based Pimlico Alliance, made up of local residents from across Pimlico.